» Feeling the Entrepreneurial Burnout? Entrepreneurs: With our help, you can cross a project off your list! “Crazy busy” doesn’t even begin to describe your life. You’re launching a start-up business and, somehow, your list of action items keeps getting LONGER. Tasks include manufacturing, hiring, accounting, marketing, and sales. How can you be an expert in everything? Simply put, you can’t. Our Design Studio is standing by, ready to help. If you need design help for custom labels (or help with other printed graphic solutions) call us. There are a ZILLION options – materials, adhesives, printing processes – and it’s easy to get overwhelmed. Don’t waste your precious time! Form, fit and function – Precision and functionality are critical. We’ll make sure your graphic solution integrates perfectly with your manufactured product. Of course, you’ll get a great-looking design too. Durable material choices for your product’s environment – Will your product be used outdoors? Submerged in salt water? Exposed to harsh cleansers? Our designers will determine the right material choices (including our selection of engineered adhesives) to ensure long-lasting performance. 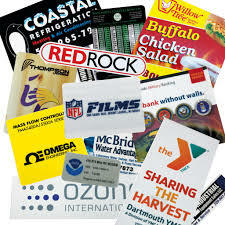 Companies in all types of industries use custom graphic overlays (aka faceplates, computer overlays, polycarbonate overlays, control panel overlays). Applications include brand recognition, product identification, and equipment labeling for electronics, medical devices, and all types of instrumentation. At NFI Corp, we pride ourselves on producing graphic overlays that meet precise specifications and offer long-lasting durability. High-performing plastic nameplates are engineered for durability and customized to meet your specific needs. At NFI Corp, we print the ink on the underside of transparent plastic materials (sub-surface), which offers a vibrant look and makes these plastic nameplates resistant to abrasion, oil and chemicals. Custom metal nameplates are a truly long-lasting solution. Used on a wide variety of products, machinery and equipment, nameplates manufactured with stainless steel, aluminum, brass, or alloys are an exceptional way to showcase your company logo, model numbers/serial number, and instructional tags. 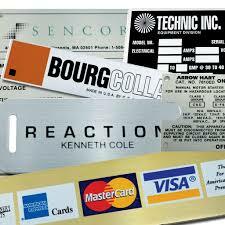 Plus, metal nameplates are perfect for dials, scales, templates, and rating plates used in the manufacturing process. Your custom membrane switch must be built to precise specifications. Therefore, it's imperative to partner with a U.S.-based manufacturing company with in-house engineers who offer years of experience. 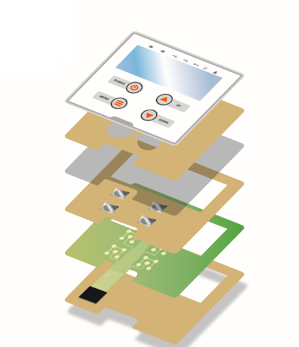 At NFI Corp, we'll collaborate with you to determine the type of circuitry and features that enable your product to function at its highest level, with an optimal experience for the end use. Of course, your membrane switches will be manufactured with high-quality materials and meet your exact specifications. Complete this form NOW to get a call from our team of specialists.